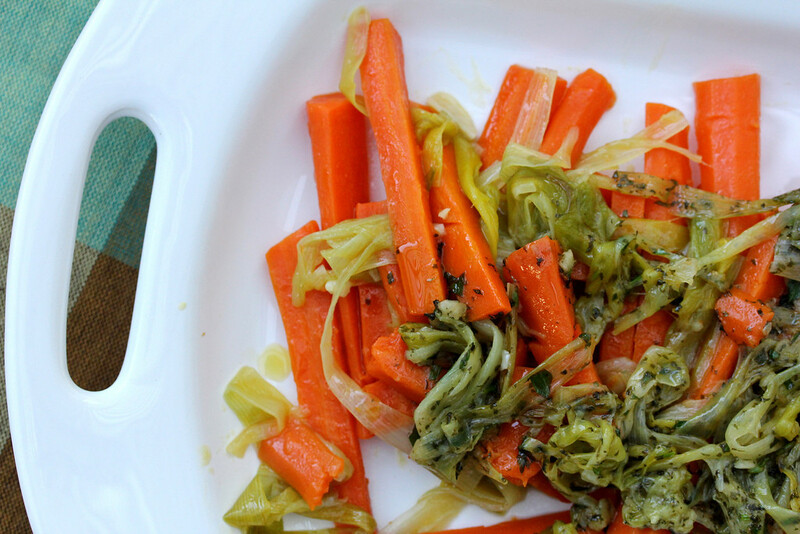 These braised carrots with leeks will surprise you with their savory-ness. At least they surprised me. 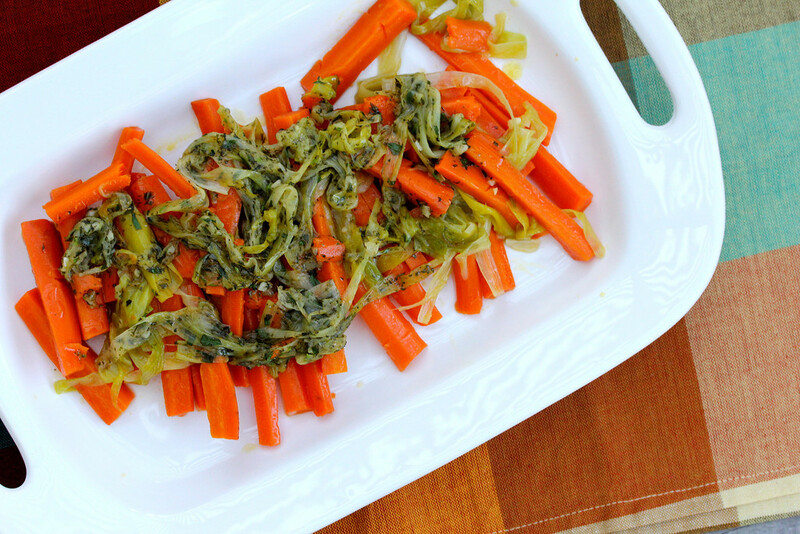 Their flavor is fresh and reminiscent of vegetables from a Provencal marche. This is an easy dish that can be made right before serving, or made in advance and served at room temperature the next day. You can use spring carrots, or if you cannot find them, you can cut regular carrots cut into thinner pieces by quartering the fat ends and cutting the thin ends in half lengthwise. To clean the leeks, cut off the root ends and the dark green parts, slice the pieces length wise, place them into a bowl of cold water, and swish them around. Drain the leeks and and place them back into cold water. Once the water in the bowl is clean, the leeks are ready. We had this with a goat cheese, onion, mushroom, and red pepper tart with a filet mignon. It was definitely a luxurious dinner with an amazing combination of flavors. For another great dish with leeks, check out this Asparagus, Pea, and Leek Stir Fry. 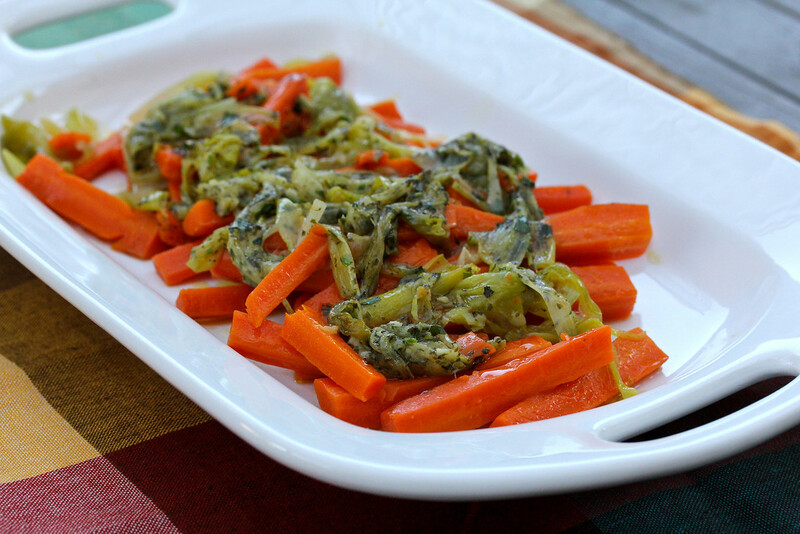 For another great carrot dish, check out these Sauteed Carrots. Adapted from Mark Peel's New Classic Family Dinners. 1 pound peeled carrots, either small spring, or cut as described above. They should be about 4 to 6 inches in length. Heat 2 T of the oil in a large skillet over medium heat. Add the leeks and a bit of the salt and cook over low heat for about 5 minutes. Add the carrots, water, and the rest of the salt, and bring to a simmer. Simmer over low heat, covered, for about 15 minutes, until the carrots are fork tender. Transfer the carrots to a platter and bring the rest of the ingredients to a boil. Add the rest of the oil, the lemon juice, the chervil, and the tarragon to the pan and cook for about a minute. Spoon the contents of the pan over the carrots. Serve immediately, or tent with foil and serve later at room temperature. You can also refrigerate overnight and serve the next day. 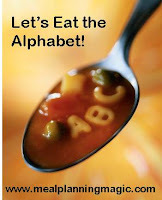 This post is participating in Eating the Alphabet hosted by Brenda of Meal Planning Magic. We'd love to have you participate too. This month's letters are K and L. If you'd like to join in, check out this post about participating. It's not too late. And check out the other recipes with healthy ingredients that start with K and L in the thumbnails below. Thanks Lynn. I really loved this dish.